For many people, the definition of "success" involves thriving at work. They want to set goals and reach them, they desire to advance up the supply chain and they want to be in their dream positions by the end of their careers. To get there, however, they must seek out the right opportunities to both learn and succeed. "32% of professionals surround themselves with successful people to increase motivation." These opportunities vary for each employee, and someone may find one more accessible or helpful than another. In a recent ProOpinion survey, 32 percent of business professionals responded that being surrounded by successful people motivates them to do well, 26 percent said career advancement encourages their hard work and 24 percent noted that they need one-on-one time with their employers. There are many ways in which people find the motivation to succeed, and it's up to the individual to determine which method is the best one for them. Successful people have been quoted saying how they reached their goals and what motivated them, and their remarks may help you achieve your dreams. Unless you're running a one-man show, you will be surrounded by other people. While they may not be in the same department or even on the same floor as you, they have just as much of an impact on the triumphs of the company. You'll have to work with most of them to complete projects and solve problems. One of the most important characteristics of successful businesspeople is the ability to collaborate. They need to know how to work well with others to accomplish their tasks. These employees are willing to listen to their peers' ideas and figure out ways to integrate those suggestions into projects. However, they also aren't afraid of criticism, Inc. magazine explained. Driven people don't reach their levels of success without taking advice from veteran co-workers. They'll admit when they've made mistakes and will gladly welcome comments from their team members. Accomplished employees are the ones that help motivate the rest of the staff. They can work with others to get the job done and they're willing to share in the success. This is why 32 percent of business professionals said successful people drive them to do well. It's preferable to be part of a team where everyone does their share of the work and receives equal credit for the accomplishment. If you're the only one getting anything done, you're not going to feel inspired to work. Successful people are willing to work with others to achieve their goals. Just because you're finished with school doesn't mean you're done learning. Education is never ending. The workplace provides plenty of opportunities for employees to expand their skills. This is especially helpful because the tools of the trade are always changing. If people have any hope in advancing their careers, they must be willing to add to the skill set, Forbes magazine contributor Glenn Llopis explained. They must jump at chances to learn new tasks and add more responsibilities to their plates. 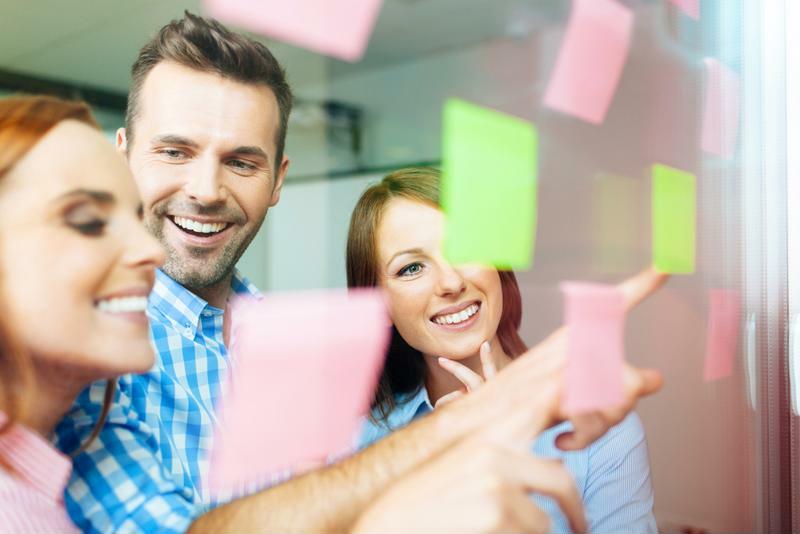 By doing this, employees will establish themselves as crucial members of the team. If people have any hope of moving up in their careers, they need to take the opportunity to learn more about the industry. This will lead to promotions, and that drives approximately 26 percent of professionals, according to ProOpinion's business research. Of all the aspects successful people have in common, one of the most important may be having a mentor. They wouldn't be where they are if they didn't have people they looked up to and aspired to be. From the moment they started having goals and following their dreams, these employees had people encouraging them along the way. "Bosses motivate their staff by celebrating successes and offering encouragement." Leaders in the workplace are there to inspire and motivate, to offer guidance and share wisdom. They want their employees to succeed, so they do whatever is in their power to make sure it happens. This is why nearly one-fourth of business professionals need attention from their employers to accomplish their responsibilities. People like to know their work is appreciated and that they're striving to meet goals that will get them to where they want to be in life, The Huffington Post contributor Anush Kostanyan explained. Bosses can motivate their staff by celebrating successes, offering encouragement and helping out when necessary. Successful people didn't get to where they are because of good luck. They worked hard to reach their goals. They hungered for their victories. This hunger is what drives people to succeed, according to Entrepreneur contributor John Brubaker. They have their eyes on their aspirations, and they won't stop until they've achieved them all. Employees need to be willing to succeed no matter what. While they may fail along the way, they won't stop trying to reach their goals. These workers' hunger will only abate once they've arrived at where they want to be. It forces these people to learn new skills, think strategically and push themselves to succeed. Without it, they would have a hard time reaching their career aspirations.